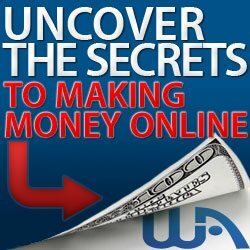 If you’re looking for opportunities to make money online and work from home, there’s no better time to do so than right now. With technology and internet improving every single day, there are more opportunities for you than ever before. In the past, we’ve reviewed a number of your options so feel free to take a look through our backlog of reviews. Today, however, the attention of this Pure Leverage review will be on…well, Pure Leverage and what the platform offers! 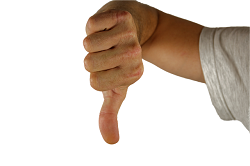 As an impartial review, we’re going to look into the good, the bad, and the ugly regarding the program before then finishing with a recommendation; should you use Pure Leverage to make money this year? With every review we do, there’s only one place to get started so let’s take a look! As a sister company of Global Virtual Opportunities (GVO), which has a history dating back to 1999, Pure Leverage launched in 2012. As an online platform, it’s said to offer all members the marketing tools they require to launch a business. As we’ve seen with other platforms, there are two sides to the business; on the one side, they provide the tools to help you build your own business while, on the other side, they offer an MLM opportunity. If you haven’t heard this abbreviation before, it stands for Multi-Level Marketing and it involves re-selling the tools you’ve already bought for a commission. Once you sign-up and pay for membership, your role will be to sell Pure Leverage to the market and advertise it as the best program in the world. If you decide to go with the tools alone, you’ll be provided with a lead capture page system, an auto-responder, video email service, conference room, and other tools that’ll come in handy when trying to grow your own business online. Who Is Pure Leverage For? With this Pure Leverage review, it’s no different to any other because we’re going to point out that the program IS NOT for everybody. Unfortunately, the internet sells a dream these days of starting a business and owning a Lamborghini with six days. If this is what you’re looking for, we urge you to stop because you aren’t going to find it anywhere. Instead, Pure Leverage is built for people who need help growing their business or have the stomach to take on the world of MLM. Sadly, the platform hasn’t been designed for absolute beginners and this can be a huge negative of Pure Leverage. However, we’re getting ahead of ourselves and we’re going to bring you a ‘benefits and drawbacks’ section a little later. In the past, Pure Leverage had a number of packages and ‘levels’ and you could choose the extent to which you wanted to get involved with the platform. Nowadays, the whole process has been simplified and there’s just one package at the value of $24.97 per month. As their website will show you, this is cheaper than many other platforms and you’ll gain access to a number of features. With Pure Leverage, the focus is very much on the MLM side of things because let’s face it, they want you to sell their product on their behalf. By doing so, you make money for yourself but you also make money for them by accessing customers they otherwise wouldn’t have had. Therefore, the first feature of the platform is a blog/website. With Pure Leverage, they provide you with access to a blogging platform and then teach you the methods of becoming a leader in the market. In order to generate leads and sales, the main focus is to become an authority figure within the industry so customers recognize the knowledge shown. Of course, starting the blog is just the very first step of the process. How do you obtain leads and follow up with the prospects? 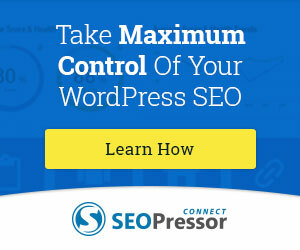 As soon as people reach the squeeze page and leave an email address, it goes into the auto-responder. From here, follow-up emails will be sent and this provides the recipient with information regarding the opportunity or product you’re selling. Much like a mailing list, the auto-responder is a superb feature because it allows an email to be sent to anyone interested in your product or service. Once the email has been left, they become part of the process and the follow-up email can sell your business even more. Over time, they’re provided with opportunities and reasons to take you up on your offer. If you’re taking part in the MLM program, the whole idea is to build a team and this is something we’re going to discuss in just a moment when we look at how the compensation works. However, the live meeting rooms allow your team to attend live webinars. As your team learns, you’ll be in a better position to earn money. To appeal to your consumers even more while offering a personal touch, you can send emails with videos attached. With numerous templates from which to choose, your email will really stand out for the customer and add value to the service. As mentioned, the price is simple at $24.97 but you’ll have to pay an additional $19.97 per month if you want to earn commission and make money with the MLM process. Therefore, you’ll actually pay around $45 for the whole package and this is important to keep in mind. In terms of the compensation itself, it’s relatively easy to get mislead by the material Pure Leverage provide. Why? In their explainer videos and on their website, they say you earn 100% commission but this simply isn’t true. Instead, it’s closer to 75% which is still good compared to various other programs…but not what they promise and suggest in all their content. Since this is an MLM system, they encourage you to get people on your team. If you do this, you earn commission on sales made by all your team members and this is where the real money is earned. As you recruit team members, your team gets wider and Pure Leverage says you can have as many team members as you wish. From here, you then encourage your team members to build their own team and you keep earning money for every member that joins as a result of your own efforts. 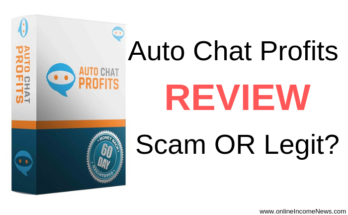 With this Pure Leverage Review, you need to know whether you should choose the platform or not. Therefore, we’re going to finish with some benefits and drawbacks. Before leading into a summary, this should show you the main features as well as the reasons that might dissuade you from joining. Cheap Prices – Compared to the numerous platforms available these days, the prices are actually respectable and this is perhaps the main advantage of choosing Pure Leverage. When it comes to recruiting others to join, it makes the task somewhat easier because you aren’t asking them to part ways with hundreds (or even thousands) of dollars. 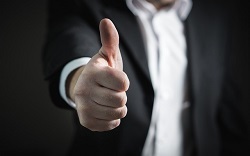 Training – Although most of the training has been designed for those taking part in the MLM side of the business, the training does exist and this is beneficial. If you take some notes, you’ll probably learn some things you didn’t know before and this can come in handy as you continue on your journey. Free Blog – Finally, the free blog is certainly something useful for all. Rather than paying out and feeling disappointed by the result, you don’t have to pay a cent to get started. Unfortunately, this is where our Pure Leverage review changes slightly because, as you’re going to see, there are several problems with the platform. In the past, we’ve noted how really good platforms don’t need to brag about their features and results and, once again, this golden rule rings true because Pure Leverage does promise a significant amount without being able to deliver. Poor Tools – Although we described the many tools available with this program earlier, the majority of users can’t see eye to eye with them. Not only do they say the tools crash and freeze regularly, they also say there are better tools available on the internet that charge absolutely nothing to use. If this was a rare comment, we wouldn’t bring it up in this Pure Leverage review but it’s something we’ve seen regularly and something we’ve even experienced ourselves. 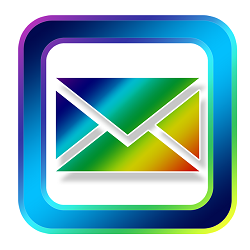 Email Spamming – Secondly, if you’re going to use Pure Leverage, you need to be ready for an onslaught of emails. With a platform such as this, you can expect some emails because it’s just a part of the deal these days. 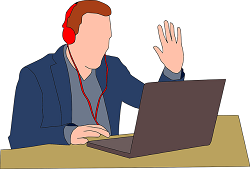 However, Pure Leverage and, more accurately, Joel Therien (the owner), will normally send an email a day whether it’s regarding a new blog post, something you haven’t yet done in the set up of your account, or anything else. Pyramid Scheme – When describing the ‘team’ system previously, you might have started to think ‘pyramid scheme’ in your mind and this is absolutely correct. After building a team and getting each member to build their own team, this is a pyramid scheme (let me clarify this, there is nothing wrong with a legal pyramid structure as everything in life is a pyramid! ), however this is one that isn’t entirely efficient with the tools and training you receive. Email Spam – Before you think we’re about to describe something we’ve already discussed, there’s another issue with emails. During a test, we found that the emails we sent out were actually going straight to the spam folder of the recipient as opposed to their inbox. After noticing the issue, we researched online and found many others having the same problem. Subscriber Limit – If you’re looking for a long-term opportunity with no ceiling, this probably isn’t the one for you since there’s a 10,000 subscriber limit. Once you hit the limit, you won’t be able to go any further and it feels as though thousands of hours of hard work have been wasted. Poor Support – Despite not experiencing it first-hand, we’ve also heard from many people the support and customer service is lacking. If you come across any issues or have any questions, this can be a problem (especially when there are other platforms out there that excel in this regard). 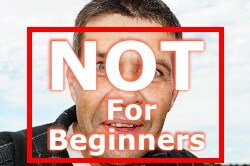 Not for Beginners – Finally, the platform has not been designed for newbies at all. From the training to the explanations, people with limited knowledge on the topic tend to struggle to follow and this could make it harder for you to grow a business from scratch. Do We Recommend Pure Leverage? Despite all the promises, the platform simply doesn’t live up to expectations and you’ve probably noticed this in our Pure Leverage review. 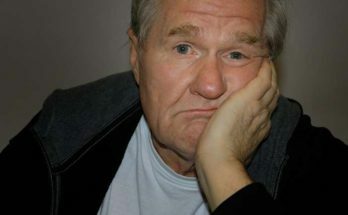 With the drawbacks FAR exceeding the benefits, we wouldn’t recommend this platform for starting a business because there are so many better options available. Even after you get used to the tools crashing and causing havoc, you then have to put up with at least two emails a day (even AFTER signing up). For us, it isn’t worth the hassle! 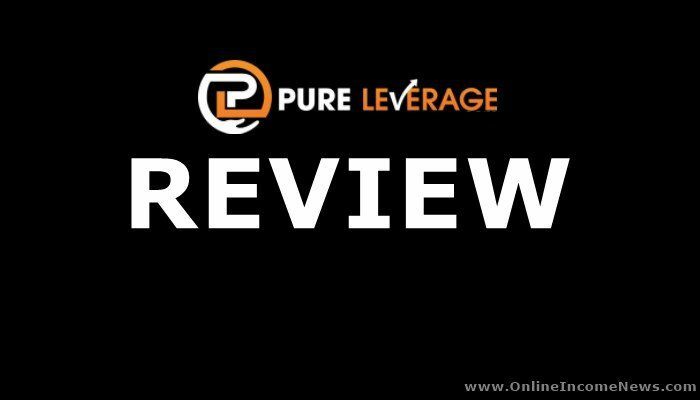 I hope you enjoyed this review and if you have any questions about Pure Leverage or want to leave your own personal review, leave a comment below. I would love to hear from you. 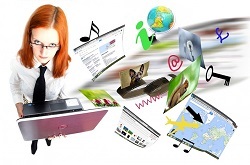 Next Article What is the Best Way to Monetize a Website? Many thanks for sharing this review on Pure Leverage. Your review is one of the most comprehensive and I got some great insights. Thanks for sharing this valuable information to help people like me. Keep rocking and posting this type of informative reviews. All the very best! I will come back to your website to learn more information. Hi Paul, thank you for stopping by and taking the time to comment. I am happy you found the Pure Leverage Review helpful and I look forward to you visiting us again soon.